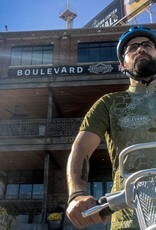 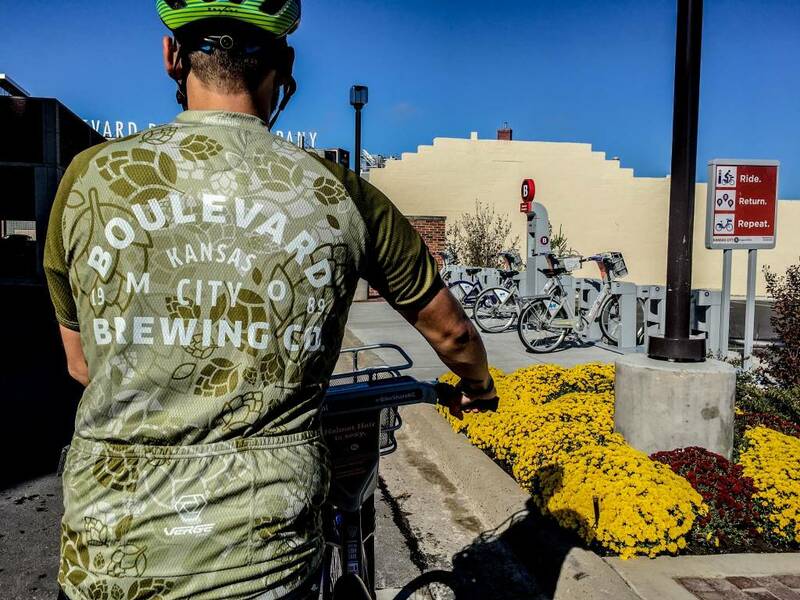 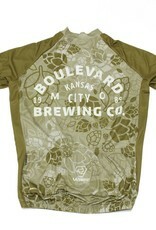 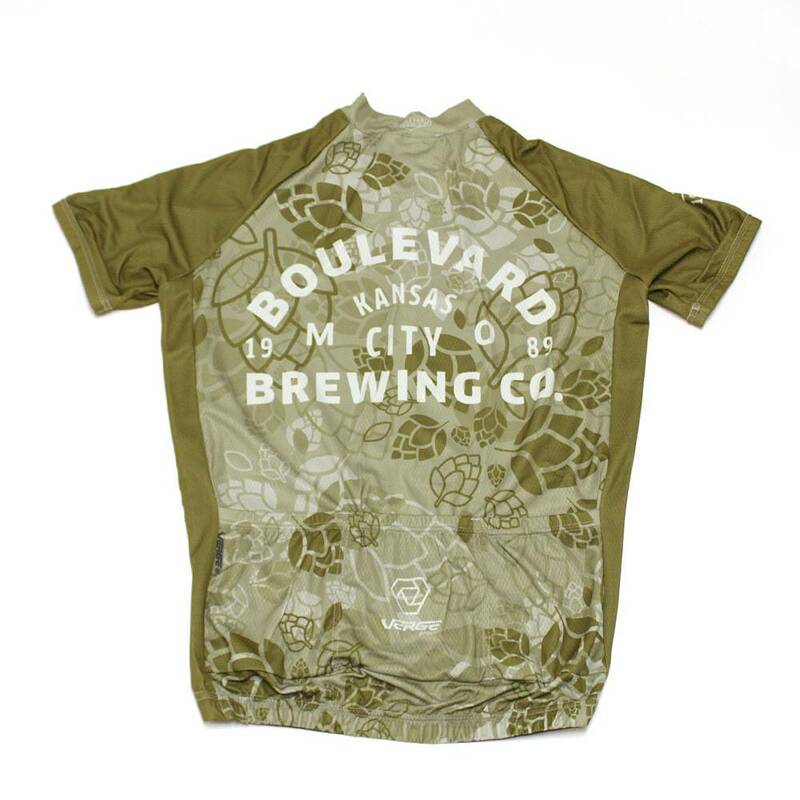 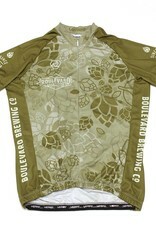 Just arrived: The Boulevard Brewing Co "Hoppy Camo" Bicycle Jersey. 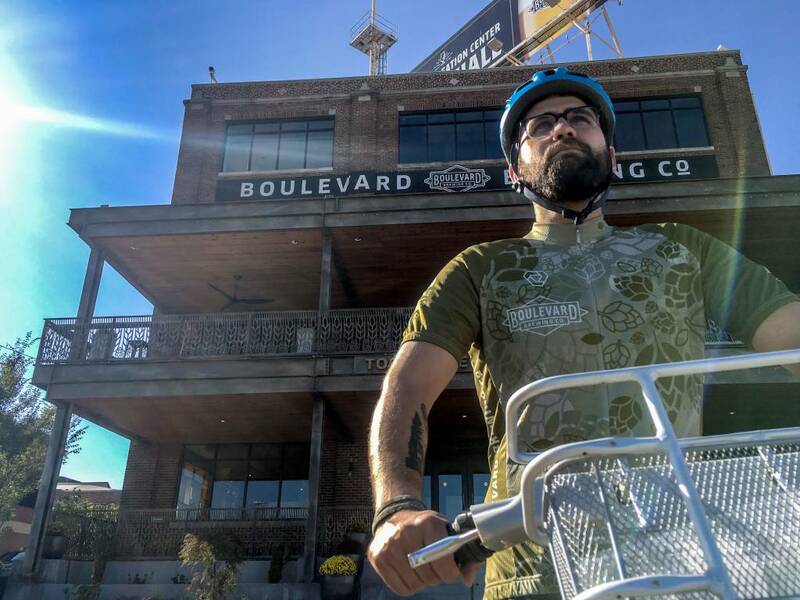 Produced by Verge Sport, this good-looking performance item sports the latest in next-generation fabrics and construction for a better fit. 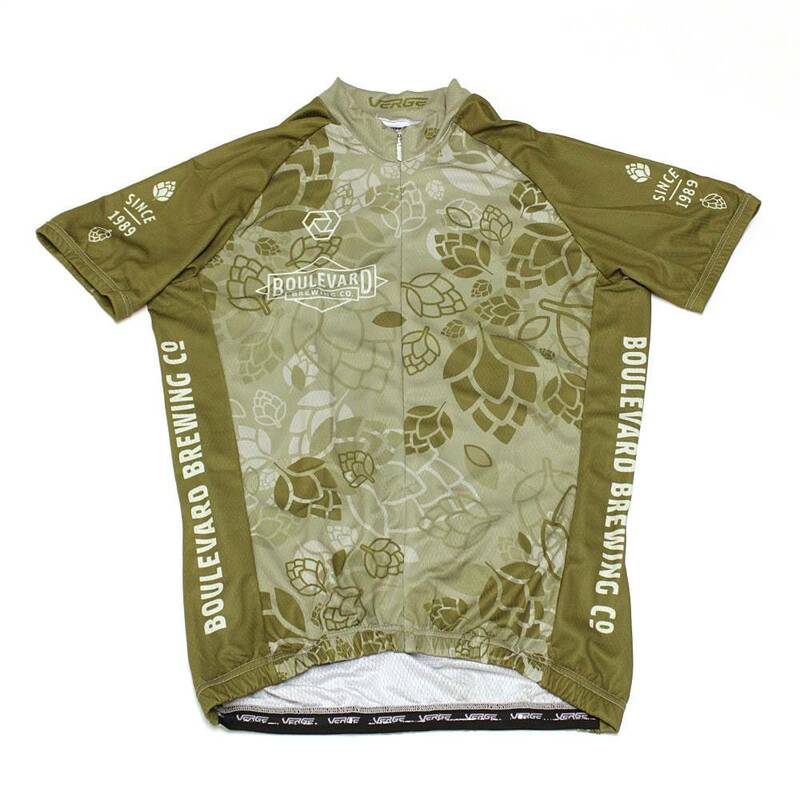 A subdued but eye-catching hoppy camo graphic not only shows off your pride for the best in craft beer but also gifts you with head-turning visibility for pushing pedals on highly trafficked roads. 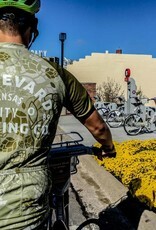 Three rear pockets for keys and snacks with silicon grippers in the waist to keep the jersey from moving around, even on the most aggressive bicycle geometries.